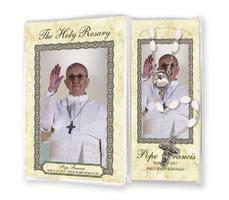 CATHOLIC GIFT STORE supplying Religious Gifts direct from our Lourdes Shop, including Catholic Rosary Beads and Lourdes Holy Water bottles. 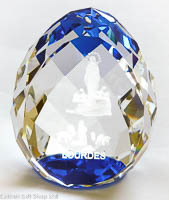 We are very proud to provide a great selection of quality and unique Catholic Gift Ideas, which are sent Worldwide, direct from our Shop here in Lourdes. Store Categories - 1,000's of products in stock! A selection of Lourdes, Virgin Mary, Apparition and Saint Bernadette magnets. 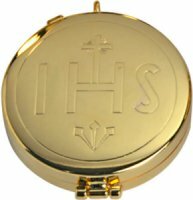 Catholic Medals, Pendants and Pins. Solid Gold medals, crosses and pendants. 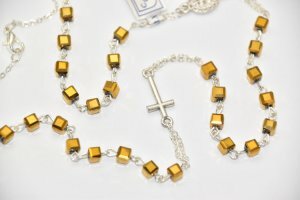 The most popular item of Catholic Jewelry. 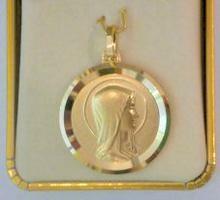 Virgin Mary & Lourdes Apparition Necklaces. 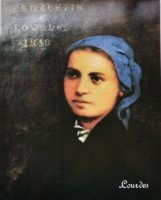 Authentic photos of Saint Bernadette. Pictures of Lourdes and the apparitions. 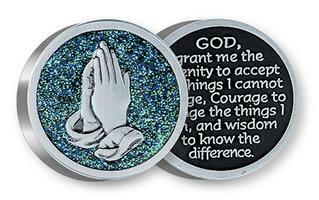 Motorist car magnets and prayer plaques. Catholic pocket tokens with booklets and prayers. Prayer Cards and Holy Cards. Chapelets, Rosary Rings and Hand-Held Rosaries. 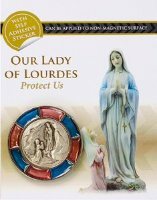 Keep your Rosary Beads in a Lourdes Rosary Box. 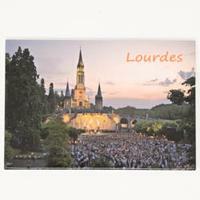 Our Religious Shop has hundreds of discount Catholic products and souvenirs from Lourdes, in France. 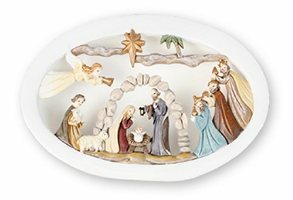 We are continually adding more items to give our customers even greater choice of Catholic Gifts and the best shopping experience. However, if there are any other items that you are shopping for, but can not find on our site, please do not hesitate to contact us; We will be happy to assist you and do our best to provide the item that you would like, at the most reasonable price possible. Our customer service is second to none and if you have any questions please do not hesitate to contact us. We accept payment by all major credit and debit cards. 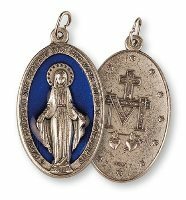 All orders are sent out quickly and can be shipped fast to any location, worldwide, direct from our Catholic Shop here in Lourdes.